[/vc_column_text][vc_column_text]Sturdee Residences is inspired to be developed in order to create a new heavenly abode to residents. Spacious units that will definitely give you the most convenient experience on each stay, also add the good ventilation that gives you the most comfortable way of living. All units are well-designed to fit the different personalities and lifestyle of future owners, something that will surely make you unique from the crowd. Standing at 30 storey high, Sturdee Residences is well positioned for a paranomic view of city skyline. Nearby Shophouses and low rise apartment put Sturdee Residence as an icon with a cut over the rest. Be it for own stay or investment, you can look to Sturdee Residence to fulfill this need. Your Urban Resort Living come closer to you at Sturee Residences Singapore. With lush greenery landscaping around the development, retreat back to your resort home where the elements of nature meet after a hard day at work. Head for a swim at the pool, bbq or even a workout at the gym as you spend this quality moment with your family. Branded appliances, elegant kitchen, and finely crafted units that will surely be loved by your guests. This residential development is thoroughly planned to give you and your loved ones the perfect home for you to treasure each and every enjoyable moments. The property is also well-equipped with brand new facilities to give its residents the most luxurious and tranquil place to live. 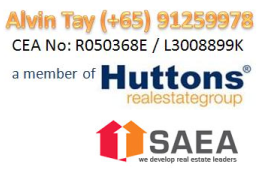 Top 10 Reasons Why Sturdee Residences?